Joe Tilson was born in London in 1928. From 1949 to 1952 he attends St Martin’s School of Artand later, from 1952 to 1955, the Royal College of Art. It is during these years that he meets Frank Auerbach, Peter Blake, Patrick Caulfield, David Hockney, Allen Jones, R.B. Kitaj, Leon Kossoff. In 1955 he is awarded the prestigious Premio Romaand he moves to Italy, where he meets Joslyn Morton, who was studying with Marino Marini in Milan. In 1956, the two decide to get married in Venice and a couple of years later they move back to London, where Tilson starts teaching in several universities and art academies. His career as a professor brings him to the School of Visual Artsin New York and to the Staatliche Hochschule für Bildende Künstein Hamburg. He exhibits widely internationally from 1958 in Paris, Tokyo, Germany, Italy, Holland, Denmark, Sweden, Switzerland, South America and the USA. He holds his first solo show at the Marlborough Galleryin London in 1962, while in 1964 he designs the British Section of the Triennale of Milanand exhibits in the British Pavilion of the XXXII Venice Biennale, the famous Pop Art Biennale that includes Rauschenberg, Johns, Dine and Oldenburg. 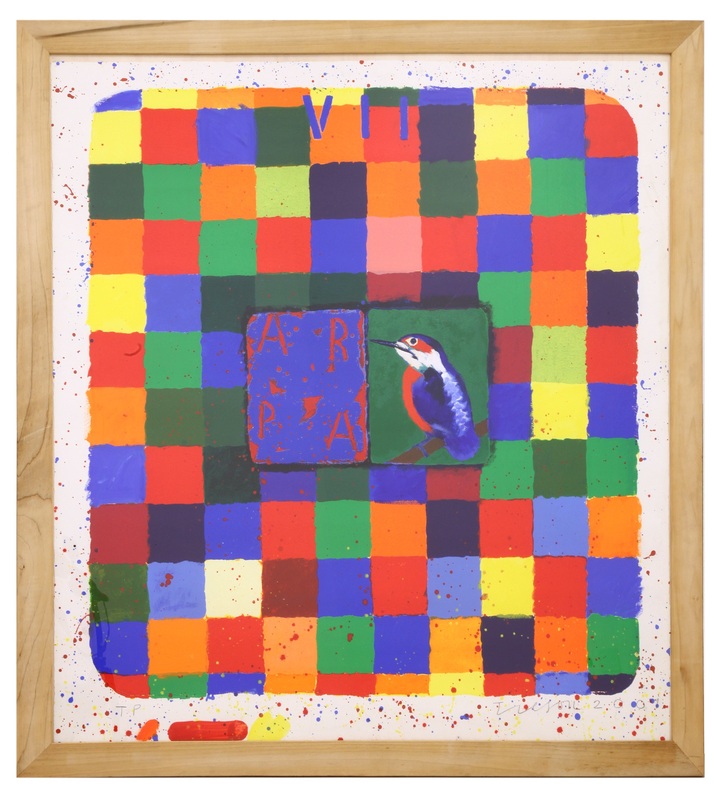 In the 1970s Tilson experiences a significant change in his art, which leads him and his family to leave London and to move to the English countryside and in a farmhouse in the mountains of Tuscany, near Cortona. In 1985 Joe Tilson is elected to membership of the Royal Academy of Artsin London, which in 2002 dedicates him a major retrospective exhibition entitled “Joe Tilson: Pop to Present”. In love with Italy since always (and returned by collectors and critics of our country), he has spent most of his time between his house in Cortona and his studio in Venice. He currently lives and works mainly in London.